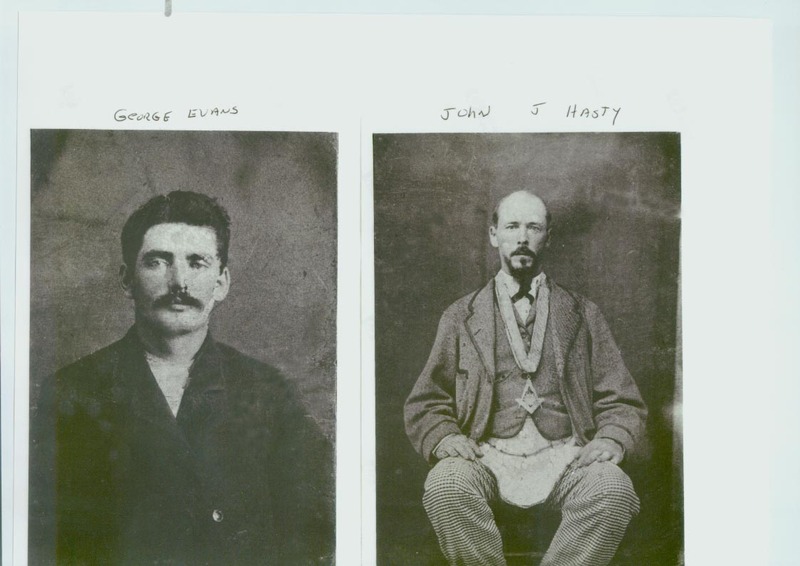 Comments: John J Hasty (Nee: ) | Anson NC USA | 1851-1900 | Comments: (l) George Evans - first husband of Martha Angeline Hasty. Murdered in gunfight in 1884. (r) John J. Hasty. Son of Jesse C. Hasty and Nancy Heath. Sheriff of Anson, NC. Father of Martha Angeline Hasty.